Every summer we assemble a team of “Mission Minded” young people that desire to serve the Lord by serving others. 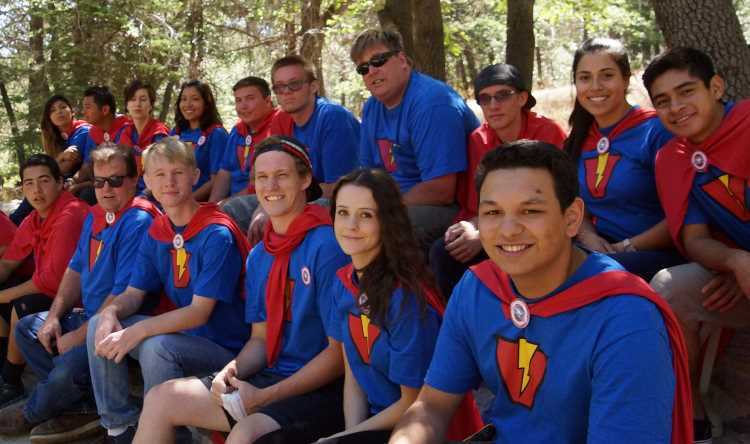 This team handles the facility responsibilities at Verdugo Pines Bible Camp interacting with the campers and Program Staff throughout the summer months. Summer Ministry Team positions include Cooks, Dining Service, Housekeeping, Maintenance, Lifeguards, Archery, Climbing Wall, Paintball, IT/Media, Craft Coordinator who all live and work together to offer a camping experience that honors the Lord for our campers and guest. Our job is to remove the distractions so that our campers will develop a relationship with Christ. If you are interested in serving the Lord this next summer, please complete the forms listed below. If you have any questions you can call (760) 249-3532 or e-mail us at papajohn@verdugopines.org.